Affiliate Disclaimer: this site contains affiliate links. That means if you click through one of my links to another site and end up making a purchase, I may get a very small amount for “assisting" in the sale (pennies, really). Welcome to my website! I am the author of the traditional fantasy adventure THE CAEL STONE. For information about my books, as well as current news, a list of upcoming appearances, and details of how to get in contact with me, please see the links at the top of this page. 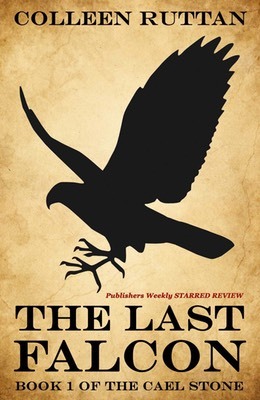 THE LAST FALCON E-BOOK IS NOW FREE! Get the first installment of the traditional fantasy adventure THE CAEL STONE. If you like fast-paced, quest-adventure stories that are also brimming with mystery and political intrigue and set in a world filled with dragons, elves, and dwarves, then you will love this fantasy series.